Image track: 1’: 8” / 8.4 metres, projected 24 frames per second, on continuous loop. Soundtrack: 8’: 54” on continuous loop. 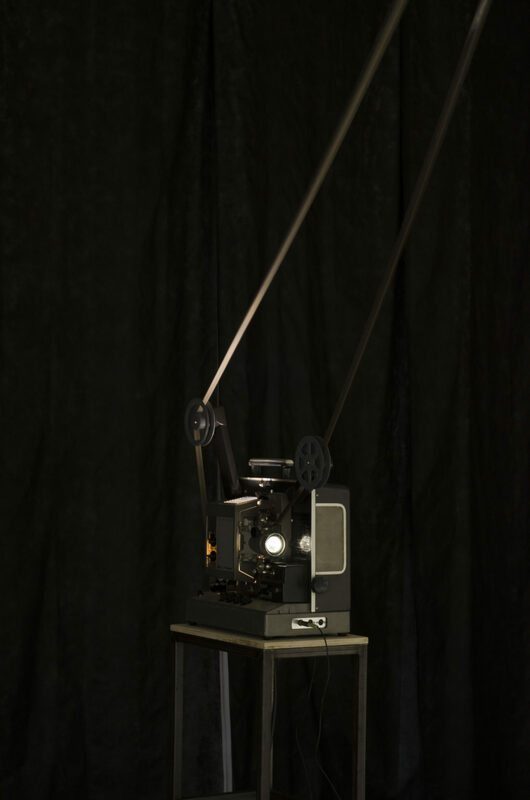 Training Film Apparatus brings together a film made by directly removing sections of emulsion from unexposed 16mm film stock and a soundtrack based on recordings of classical singing training exercises developed in collaboration with Eva Richardson McCrea.